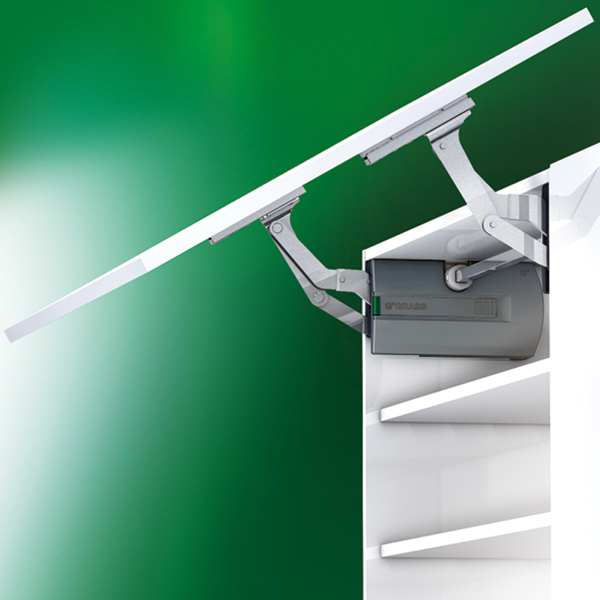 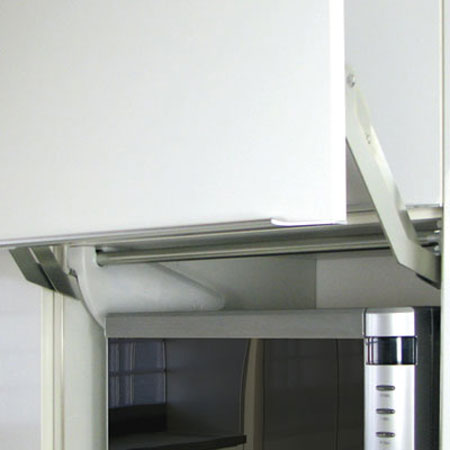 We are suppliers of lift-up fittings from reputed brands like Hettich and Blum in Kolkata. 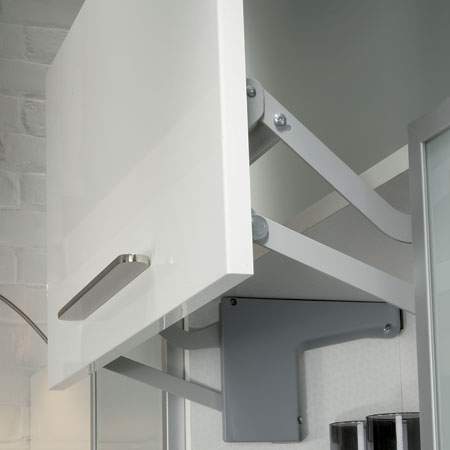 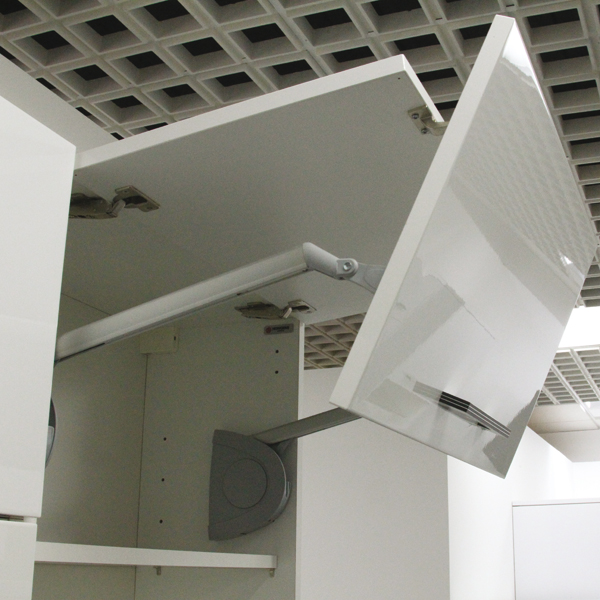 These modular kitchen fittings are the primary choice for flaps due to their easy-to-use, space saving and gently retracting and closing features. 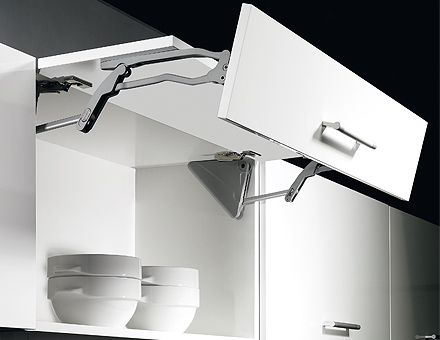 The fittings are suitable for a wide range of flap sizes and come with an easy to fit and adjust qualities. 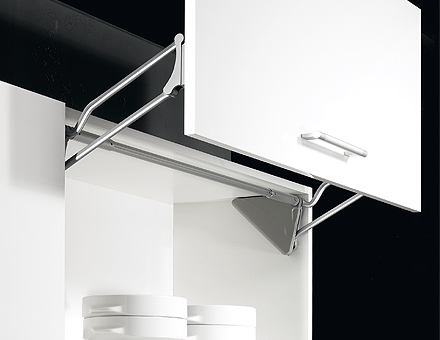 These lift-up fittings not only enhance the depiction of your kitchen but also make it look more elegant and well-organised, giving it a more modish and aesthetic appeal.